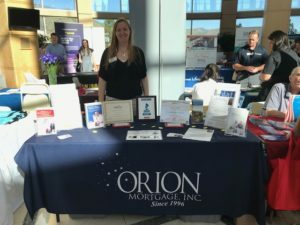 We value connecting with our customers and other business professionals in a variety of settings and would be thrilled to see you at our upcoming events! We offer free Reverse Mortgage seminars to help educate professionals, seniors and their families about the versatility of this powerful financial tool. 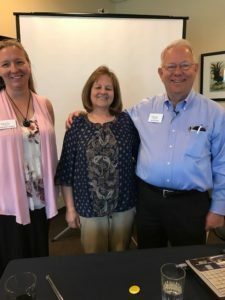 If you are unable to attend one of our scheduled seminars, we are happy to bring the presentation to your business/organization or small group. Please note that while our seminar events are free, most require an RSVP so that we can ensure adequate seating for everyone. 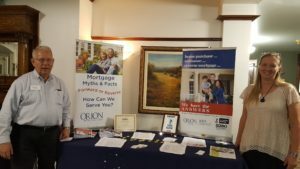 What are people saying about Orion Mortgage’s presentations? Atmosphere very conducive to asking questions. Very beneficial. Great information – thank you for the education on this topic! One stop shopping for seniors, boomers and adults! Meet agencies that provide wellness, health, active aging programs, aging in place, local community services, volunteer opportunities, safety and much, much more! Confused about what a Reverse Mortgage is and whether or not it is a viable financial planning tool for yourself or your clients? 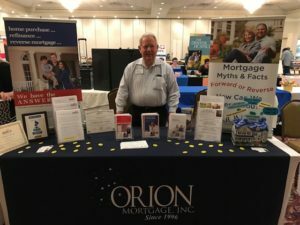 Join us for a free lunch as Don presents the basics of a Reverse Mortgage as well as explains how this one product may be the financial solution for borrowers in a wide variety of life situations. This seminar provides valuable information for professionals as well as prospective borrowers and their family / support system. It has been approved as 1 hour of Continuing Education for Real Estate Agents as well as for Certified Senior Advisors. There will be volunteers available around the Metro area not only today, but this week, to provide you with general guidance about Advance Care Planning. To find a location near you, click HERE (after 4/1). Amanda, from our office, will be at The Natural Funeral in Lafayette from 6 pm – 8 pm as an ACP Volunteer. No appointment is needed, just stop by. 102 W. Chester Street, Lafayette, CO 80026 – Parking is available in the alley south of Chester Street. The ACAN Conference is the ultimate source for senior-focused information and resources for seniors, their families and industry professionals. The “Information Age” theme this year will bring together a wide range of resources and mini-workshops for seniors and opportunities for seniors to learn about how technology can help with aging and improve their quality of life. Pre-registration is $15 ($20 at the door). Cost includes catered breakfast and lunch, workshops, access to exhibitors, etc. Please call 303-818-7232 to register by phone or email ACANCoordinator@gmail.com to request the registration form and register by mail. Do you have a Reverse Mortgage? Are you considering a Reverse Mortgage? This versatile loan product can be the answer many seniors are looking for when trying to stay in their home. However, unless those seniors and their heirs or executors understand what is expected of them once the borrowers are no longer living in the home, there can be confusion, frustration and possibly the loss of the asset’s greatest potential. 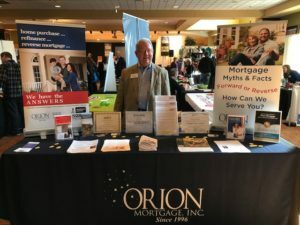 Join us for a free lunch as Don explains how to navigate the post-Reverse Mortgage requirements and how to best prepare yourself, your property and your heirs ahead of time for a favorable outcome. Join us for Lakewood’s annual Older Adult Wellness Fair where attendees can chat with vendors and support service companies, as well as enjoy fitness demonstrations and classes and balance and strength tests. 9Health will also be on site to provide health assessments, blood screenings and blood pressure checks (cost may apply). Other activities include free snacks, massages and foot care, prizes, giveaways and more! This event is great for adults 55 and older looking for ways to get involved and active, or for family members or caregivers of those who may benefit from this information. Demonstration schedule and additional information available HERE. Join us for Jefferson County’s Senior Law Day. There will be 24 valuable workshop with topics including End-Of-Life Issues, Identity Theft, Medicare Issues, Tips for Probate and more. Attorneys and representatives from a variety of community resources will be available to answer individual questions. Free 15-minute consultations are available through the Ask-An-Attorney segment. Registration is $10 and includes a continental breakfast, lunch and the new Colorado Senior Law Handbook. Information and education to age gracefully and intentionally. Classes for seniors, family members, caregivers and service providers. Topics will include Estate Planning, Understanding Medicare, Advance Directives, Powers of Attorney, ID Theft and Scams and End-of-Life Options. Registration opens April 1. Please call 303-500-7059 or register online HERE. Attendees receive complimentary breakfast and lunch and a copy of the 2019 Senior Law Handbook. Suggestion donation of $10. 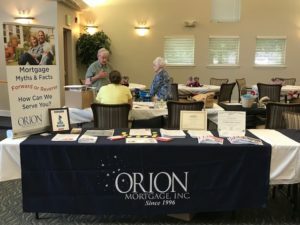 Senior Connection features products and services that pertain to good health and health maintenance, recreational activities and hobbies, home improvement, travel, fashion and just plain fun! Free to the public. Don will tailor a presentation for your business or social group at the location of your choice. Topics include reverse or forward mortgages, planning for the future, current industry trends, etc. Please call the office to make arrangements: 303-469-1254. Have any of these factors changed since you closed on your current mortgage? Job? Size of your family? Marital status? Your credit? Economy? Home values? Mortgage regulations? There may be a better rate, term or product available to you as a result of these changes. 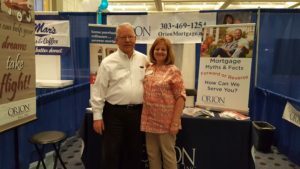 Orion Mortgage, Inc. offers a free, no-obligation Annual Mortgage Review to make sure you are in the best mortgage for your unique situation.